The Saint Andrew's Church (Ukrainian: Андріївська церква, Andriyivs'ka tserkva; Russian: Андреевская церковь, Andreyevskaya tserkov) is a major Baroque church located in Kiev, the capital of Ukraine. The church was constructed in 1747–1754, to a design by the Italian architect Bartolomeo Rastrelli. It is sometimes referred to as a cathedral. 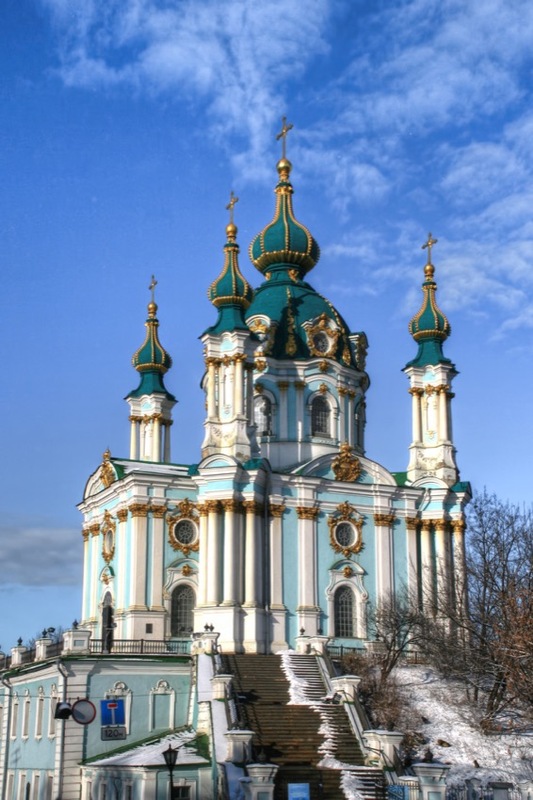 The church is part of the National Sanctuary "Sophia of Kiev" as a landmark of cultural heritage. The Saint Andrew's Church overlooks the historic Podil neighborhood, situated on a steep hill to which the church gave its current name—Andriyivska Hill. It is currently one of four architectural landmarks of Ukraine, which were put down on the List of Mankind Treasures of Five Continents by the world society.